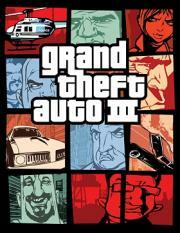 This was the first GTA in Third Person, with that in mind I cant give this game a lower score, the story is cool, the gameplay is ok and they were learning to get good songs in GTA, its a good game, not perfect but for its date and being the first 3rd person GTA from the team I have to give this score. The open world was very fun to play in and explore. The story is fairly unmemorable and doesn't use the world in a completely interesting way either. It actually hurts the game that the most fun I ever had in this was cheating in some tanks, getting a five star ranking and just trying to survive. It may be pretty tame by today's standards. GTA III was a blast to play and still remains decent to come back to. This was the game no kid was allowed to play and now we all look back on it fondly. Each with our own tale of how we managed to play it anyway. Does not hold up great today, but very impressive for the time. Pretty cool concept, but both dated and somewhat lacking in execution. The real treat has been seeing the open world GTA series really pick up from here. Hasn't aged terribly well. The open world for its time was extremely impressive, but what you can actually do in this world is fairly limited and the main crux of the gameplay isn't particularly refined. In contrast to its sequels, has far less personality and the aesthetic is much blander. Also, the way they try to cut off Islands on you is aggravatingly stupid. It's a little outdated right now but I can't forget just how much fun it was to do absolutely nothing in this game when it came out, so it still gets a high score from me.